Are you looking for a delicious lamb recipe with a difference? If you are, you’ve found it! Here’s my puglian lamb stew for you to enjoy. 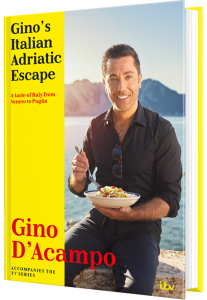 You’d have probably expected me to cook a seafood dish when visiting the picturesque cove of Polignano a Mare, in Puglia. However, despite facing the sea, the absence of safe moorings for boats has prevented the development of a fishing tradition in the town, so it relies on agriculture. 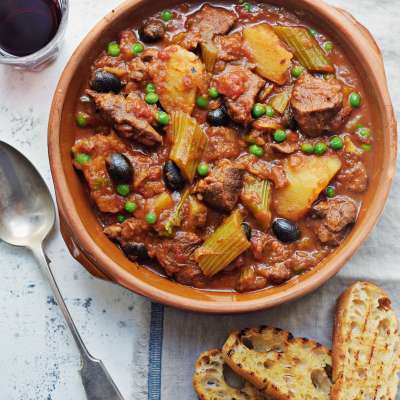 The area is famous for its wonderful fresh vegetables – especially salad, olives and potatoes – so I decided to combine local produce with lamb to make this delicious stew. This dish is definitely one of the highlights from my latest TV series – it’s comforting, delicious and easy to make. Serve with toasted ciabatta. 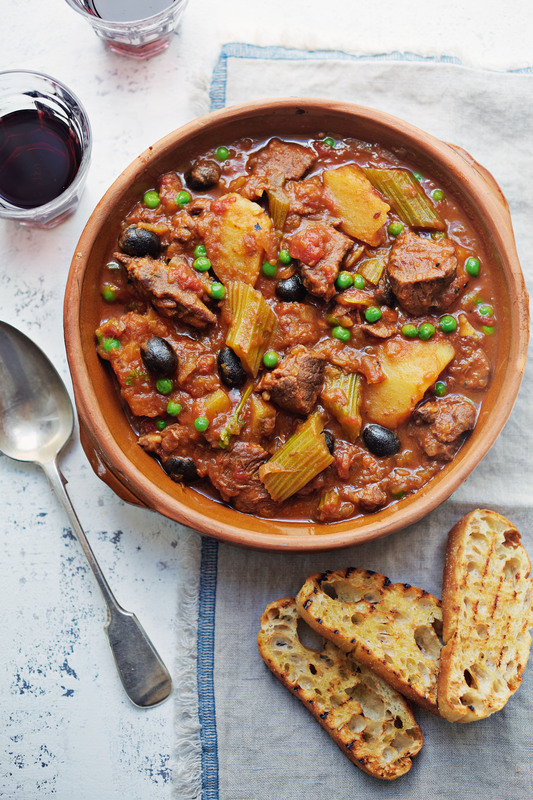 Feast your eyes on the finest puglian lamb stew! It’s straightforward and fun to make this great dish. Simply follow the instructions below and get the perfect result. Heat the oil in a large flameproof casserole over a medium heat. Add the onions and fry for 5 minutes or until softened and browned, stirring occasionally. Increase the heat. Add the lamb, season with salt and pepper and fry for about 5 minutes. Reduce the heat. Add the celery, thyme, bay leaves, orange zest, olives and honey and fry for 5 minutes or until caramelised. Increase the heat. Pour in the wine and allow it to bubble for about 2 minutes or until reduced by one third. Add the tomatoes and orange juice. Bring to the boil then reduce the heat and simmer for 1 hour, partially covered with a lid. Add the stock and the potatoes and bring back to the boil. Partially cover again and simmer for a further 45 minutes or until the meat and potatoes are tender. Stir in the peas and celery leaves and leave to rest for a few minutes off the heat before serving. Once you’re done, simply sit back and enjoy your puglian lamb stew and don’t forget to check out other great authentic Italian recipes including great antipasti recipes, Italian pasta recipes, Italian soup recipes, Italian beef dishes and authentic pizza recipes.